Here are some images of a visit I had to one of the best roadside abandoned structures I have seen so far in the state of Maine. Both the house and barn are full of history and have a certain aura about them. I recently visited to document Fort Baldwin in Popham Beach, ME. For those going down to take a look this is a lengthy drive down the penninsula. The site is extremely well preserved and one can walk through almost all of the buildings to explore. Sadly the fire tower was not open at the end of the path. Here is a Wikipedia roundup of it…………. Battery Cogan with two three-inch guns. Named in honor of a lieutenant in the 5th Continental Infantry during the American Revolution. Cogan, who had also been quartermaster of the 1st New Hamsphire Regiment, died August 21, 1778. Battery Hawley with two six-inch pedestal guns. 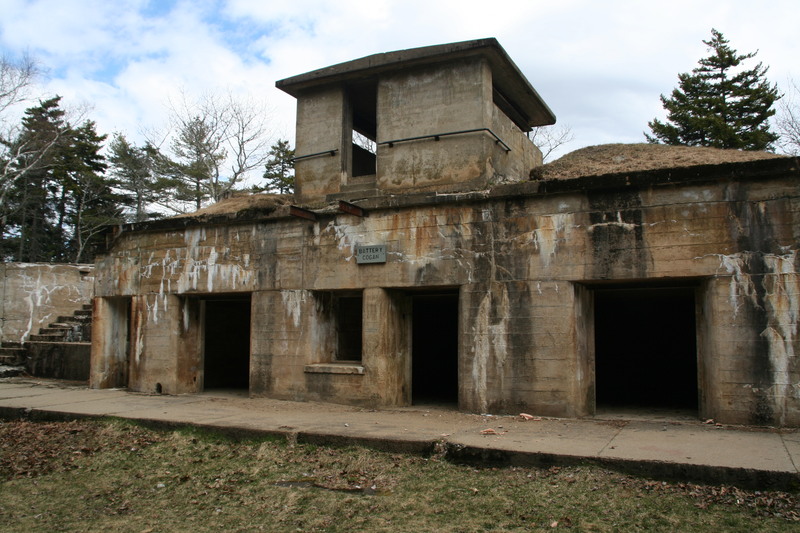 This battery also housed the fort’s original observation station and electric equipment. Named in honor of Brigadier General Joseph R. Hawley who served with distinction during the American Civil War. Battery Hardman with one six-inch pedestal gun. Named in honor of a Captain in the 2nd Maryland Regiment, Continental Army during the American Revolution. Hardman was taken prisoner at Camden, South Carolina and died while a prisoner of war on September 1, 1780. During World War I, Fort Baldwin and Fort Popham held a garrison of 200 soldiers including the 13th and 29th Coast Artillery. During World War II, between 1941 and 1943, D Battery, 8th Coast Artillery protected Fort Baldwin and its Fire Control Tower that could radio the precise position of enemy vessels to batteries in Casco Bay. For some time now I had the knowledge of a mysterious part of Maine’s varied history, this time from Lewiston. I lived almost my entire life in the tri-state region of Massachusetts so upon reading this story I never acted on actually going for an actual visit. I cannot even tell you now that I have been there, I haven’t. What I can tell is the unusual stigma attached to a village in Maine by the name of Lower Dallas. In the mid 1800’s the prosperous city of Lewiston in Maine had an innovative and at the same time bastardy plan at the same time. The roll call for welfare was quite large during this period. The city needed a way to turn the tide of people depending on the system. Someone, I do not know who, came up with the idea with shipping them off to what is known as Lower Dallas just east of Rangely in the northwest corner of the state. These people were hard up while living in Lewiston and after the move to Lower Dallas things only got worse. Stories of people running off into the fields to eat dandelions raw were the norm. Of all of these welfare afflicted Lewstonians the most prominent family was the Bubiers thus the towns name of “Boobytown” came into being. The Boobytowners were always known by the people of Rangely as honest and fair trading partners and always had the utmost respect for them. Sad that such a quality of people was shipped away in favor of saving a few dollars (in today’s money mush more). Today if you can find the way to the location of Lower Dallas you will find a virtual ghost town, complete with newspapers from the period around WW 2 on the floor of some of the structures. It is in these ways that Maine is trully unique as if someone leaves the forest locks it up until later discovery. Last heard, the is only one descendant of the Bubiers still living near Boobytown, Virgil Bubier. If anyone is looking to go there I hear he is one of the best people out there with the history of the place. It’s an understatement to say that a general feeling of paranormal activity also prevails here according to reports, which can only be imagined with the history of these people stolen from their home. I hope in the future more attention can be brought to this incident in Lewiston’s history and the whole state of Maine in general. I can only hope this article keeps alive the drive for people to find out more about it. I want to give special credit to Art Sordillo and Yankee Magazine for this other, somewhat related article, definitely a good read. In the middle of Worcester, Massachusetts lies a remarkable oddity. A “lite” castle or tower as it is refered to sits in the middle of a park. The only way to describe the structure is that you imagine a castle and then imagine it 2d. It has very little depth and mimics a Hollywood prop castle. The unique history with which is attached to it is really quite interesting as well. The tower was built in 1900 to honor George Bancroft (1800-1891), he was Secretary of the Navy,Founder of the U.S. Naval Academy, U.S. Minister to Great Britain and Germany. Quite an accomplished man. This was to be his legacy. A tower that when the true “tower” was open afforded a 360 deg. view of Worcester. This memorial was built by his friend and admirer Stephen Salisbury III. Thanks to the City Of Worcester Parks And Public Works Website they offer a quite inclusive history. 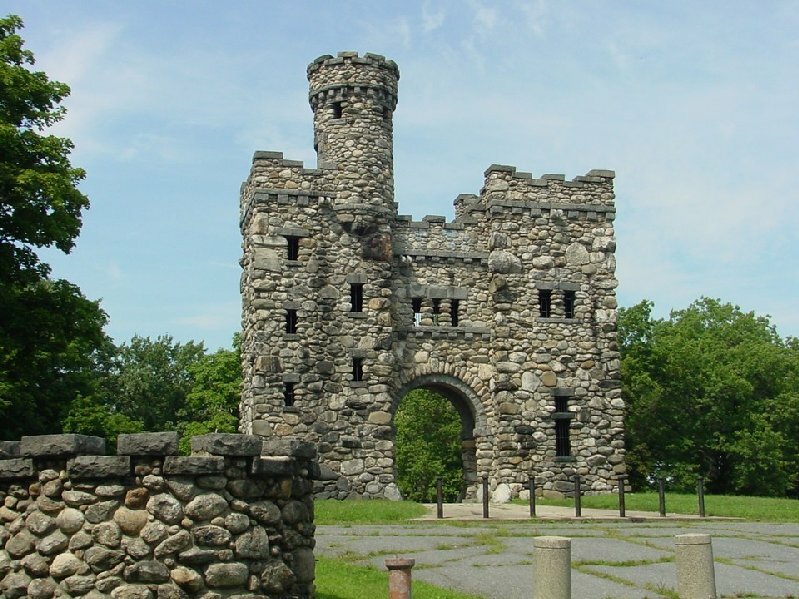 “The Bancroft Tower was built by public benefactor Stephen Salisbury III, who bequeathed it to the Worcester Art Museum, which deeded it to the Parks Department in 1912. Salisbury intended the feudal-like castle to be a recreational oasis. Its spiral staircases, fireplace chambers, stone benches, and parapets were frequently the scene of picnics and social outings. The summit has a 360-degree view of the city, greatly enhanced by a climb to the lookout tower. A locator map in the stone walkway helps to identify the distant hills. George Bancroft was a politician, statesman, and writer. His list of achievements is exceedingly long, ranging from cultivator of the American Beauty Rose and eulogist at Abraham Lincoln’s funeral, to Secretary of the Navy (founder of the U.S. Naval Academy at Annapolis) and author of a scholarly ten-volume history of America. But, Stephen Salisbury III built the memorial to Bancroft because Bancroft and Salisbury’s father had been childhood friends. A plaque marks Bancroft’s birthplace just below the park on Salisbury Street. Honorable Stephen Salisbury III became a member of the Parks Commission in 1887. Mr. Salisbury owned a great deal of land in the northern part of the city and was always eager to improve that section. He was involved in the donation and development of a plot of land on the south side of Salisbury pond soon to be named Institute Park. Initially Stephen Salisbury set aside 20 acres of land along Massachusetts Avenue which included Bancroft Hill. The true enigma may be actually the stories of hauntings and the marks carved in stone placed in the ground the “supposedly” pointing to the seven hills of Worcester. The lines actually dont point to the hills and are quite confusing. Many believe they are actually ley lines across the earth that intersect at the point of the tower. One can only believe that if someone took the time to carve them in stones they must represent something. But what? 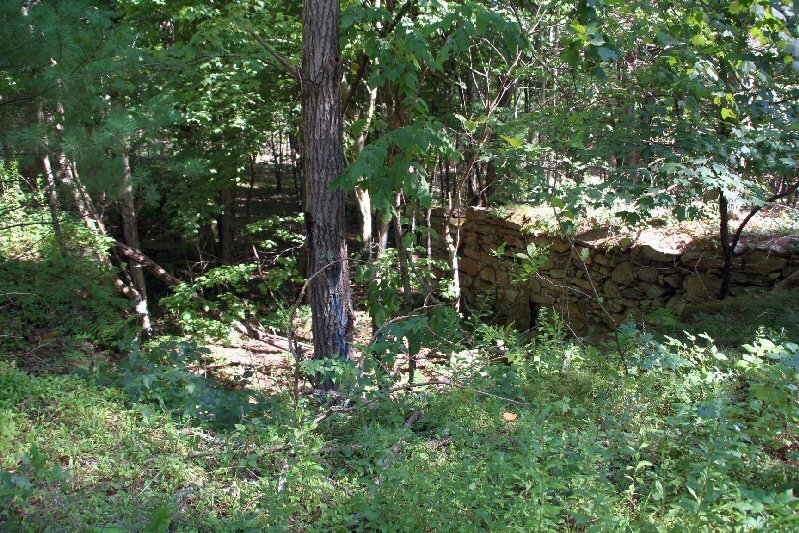 “Perhaps the oldest and most haunted place in Rhode Island is the Ramtail Factory in Foster. It was even put in the 1885 State Census Record as a haunted location. In 1799, the Potter family started operating a mill. William Potter expanded the mill in 1813. At this time, William took his son-in-law Peleg Walker as a partner. The Potter’s ran the mill by day and Walker was the nightwatchman at night, walking from building to building with his lantern. This went well for several years, until one day Walker and Potter were seen having an argument. Walker preceded to say that if something kept up, he’d walk in one day and grab the keys from a dead man. On May 18, 1822 Walker’s words came true. Potter walked in and saw that Walker had hung himself from the bell rope with the keys hanging visibly from his pocket. The Potter’s then buried him in the family plot. However, this is when the strange events started to happen. The night of Walker’s death, the bell tower struck at the stroke of midnight. The Potter’s went to go investigate this but no one was there pulling the chord while it was happening. This went on for a few days until the Potter’s then replaced the bell with a new one. Now it got even more interesting that night. The town awoke to the loud sound of the mill running at full service. Everywhere in the town went to the spot to watch in shock as the mill was running without anyone operating it, and the water was flowing in the opposite direction of the stream. I created this map back in August of this year. It has 113 places in the greater New England area that are really worth a visit, at least some due research. I have visited at least half of the sites on the map and am trying to finish off Southern New England before my departure for Maine and the North Country. I hope with the best intention that people visit these places with great respect and please help maintain these great sites. If you see any litter please pick it up. It takes only one person to make a difference. Thanks everyone and enjoy!